He will deliver the Chubb address at 4:30pm on Wednesday November 7th in the Yale University Art Gallery Auditorium. A private post-lecture reception with Yale dignitaries and special guests and a formal dinner with university students will follow in Timothy Dwight College. 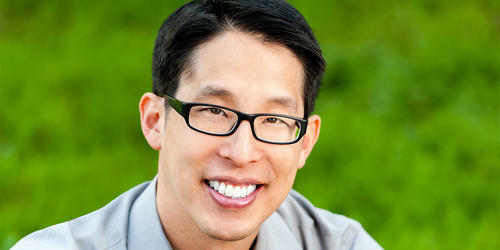 We are deeply honored to have Gene Luen Yang come to campus this fall. Born and raised in California, he began drawing comics in the fifth grade. Yang graduated from the University of California at Berkeley in 1995 majoring in computer science with a minor in creative writing. He also received an M.A. in education from California State University at East Bay in 2003. During this period, he began self-publishing his comics under his own imprint, Humble Comics, and also taught computer science and served as the director of information services at Bishop O’Dowd High School in Oakland, California. We are deeply honored to have such a distinguished leader and educator join the impressive list of Chubb Fellows who have visited Timothy Dwight College. We look forward to hearing him speak about his groundbreaking career as a graphic novelist, cartoonist, and educator.